The truth is that outcome of a spinal surgery cannot be predicted precisely. Sometimes an MRI scan can show an abnormal image which could lead to a wrong diagnosis of the problem. *Must mention this ad and be a new patient to qualify. Due to the vast nature of spinal surgeries, it is always best to consult with a physician or a chiropractor to find a solution that is suitable for a specific case. Professional advice is necessary when it comes to severe cases. Experience a Holistic Approach to Good Health. No More Lower Back or Neck Pain! No more lower back or neck pain. Plus they fixed my arm. It used to hurt so bad to lift my arm. After a series of treatments it was pretty much back to normal again. A specialist told me my only option was surgery after looking at my MRI. Dr. Hanson’s office thought that was a huge overreaction and they were right. Change your health today. Get a free Massage with your first appointment. 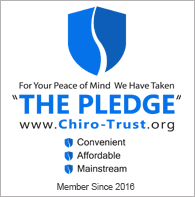 Serving the Everett area since 1995, Hanson Chiropractic has helped thousands of people find a healthy, non-surgical solution for pain relief. Helping you get relief naturally and with lasting results. Get Relief from Your Back Pain and Sciatica. Your Report is on the Way!